Bringing down the curtains over their proposed participation, the government has decided not to allow five companies belonging to the Kalanithi Maran-owned Sun Network to participate in the Phase III e-auction of private FM Radio channels. A direct fallout of the Ministry of Home Affairs having denied security clearance to these companies, the decision to not allow these companies, however, will not immediately seal the fate of the 33 Sun TV channels which have also been denied security clearance by the ministry. Sun TV operates 33 satellite TV channels and, along with three other companies, runs 45 FM radio stations under the brand name Suryan FM in Tamil Nadu and Red FM in other cities. While denial of security clearance for radio stations was conveyed by the MHA to the I&B Ministry in March, the decision about the TV channels was sent in June. The Union home ministry is learnt to have denied security clearance to Sun TV Network and the I&B ministry is considering the future course of action based on the home ministry's decision. 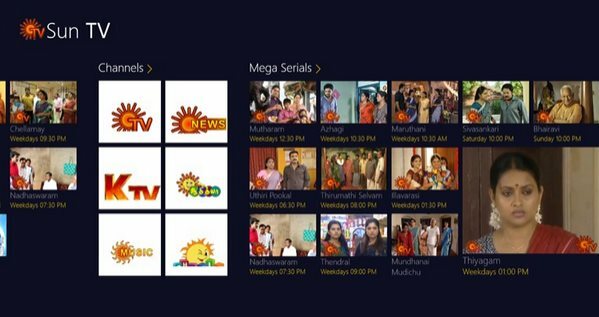 If the government decides to cancel Sun TV Network's licenses due to promoters' alleged involvement in cases involving bribery, money-laundering and an illegal telephone exchange, their channels may have to go off air immediately, leaving thousands of employees uncertain about their jobs, to say nothing about the losses to shareholders, quotes leading daily. Sun TV Network, controlled by billionaire Kalanithi Maran, is seen to be backed by a combination of business interests and political connections. With early help from a politically influential dynasty, Kalanithi (grand-nephew of DMK chief M Karunanidhi, son of former Union minister Murasoli Maran and brother of former Union minister Dayanidhi Maran) built an empire driven by movie content across the four south Indian languages. Kalanithi also runs the country's largest radio station network, besides a DTH and cable distribution business. Simply put, if you want to see or hear any regional language content in south India, you have to deal with his company. He has interests in a Tamil daily and a few magazines as well. For all his media might, Kalanithi maintains a low profile. He's rarely seen or heard at public functions, and even in the midst of the biggest crisis facing his group, he prefers not to defend himself through statements or interviews. Kalanithi has built his business over the past two decades. The Sun bouquet of eight channels rules the Tamil Nadu market, estimated at Rs 4,590cr, with a 44.6% market share. In Andhra Pradesh and Telengana, its market share of revenue is 20.5%. The Telugu market is valued at nearly Rs 2,110cr. In Kerala, Sun TV's channels trail Asianet with a 15% market share where nearly Rs 1,560cr is spent every year on television advertising. In Karnataka, its share is 18.4% in a Rs 1,890cr ad market. Sun TV's balance sheet is among the strongest in India Inc. Its income before interests and tax deductions is 58% versus Zee's 29% for the last published quarter. The market has stopped rewarding Sun TV with premium valuation. It trades at a price earning ratio of 14.43 while Zee trades at 41.51. Since the news of denial of security clearance surfaced, Sun TV Network's market capitalization has fallen from Rs 18,000 crore to Rs 11,000 crore. Some analysts have stopped tracking its stock. "Potential license cancellation is a low probability, but high impact event," said Shobhit Khare and Jay Gandhi, analysts at Motilal Oswal, in a note. The brokerage withdrew ratings "considering continued regulatory uncertainty". "Even we don't know what is happening. We hear a lot from media reports. We hope things will fall into place sooner rather than later," a senior Sun TV official said. The impasse has started impacting its business. Sources said there are standing instructions to news rooms to leave out anti-BJP news. "We're doing a few debates but we can't debate any topic critical of the government," a sub-editor with the channel said. The government is taking things to an absurd extreme in deciding that the Sun group should be denied TV and radio licences because its owners are charged with sundry economic violations and this makes them a threat to national security. The I&B ministry doesn't think so, but the Union home ministry is getting its way. The charges against the Marans must be pursued to their logical conclusion, but irrespective of which way the cases finally go, the group can by no stretch of imagination be seen as a security risk. The fact that they are a political family, which is in the opposition, should have no bearing on that determination, but it is difficult to escape the conclusion that it is becoming a major factor. Tamil Nadu state Tamils / state people should embrace not just regional parties, but also federal parties (like congress, VJP etc); this would give more power for people to choose and could lead to properity (more economic activities; infrastructure projects, lots of industries creating jobs, public transport to Delhi standard, increase income level). ITS BETTER TO HELP YOUNG PEOPLE TO LEARN HOW TO CATCH A FISH, INSTEAD OF GIVING FREE FISH, AND KEEP PEOPLE POOR AND VULNERABLE FOR EVER.